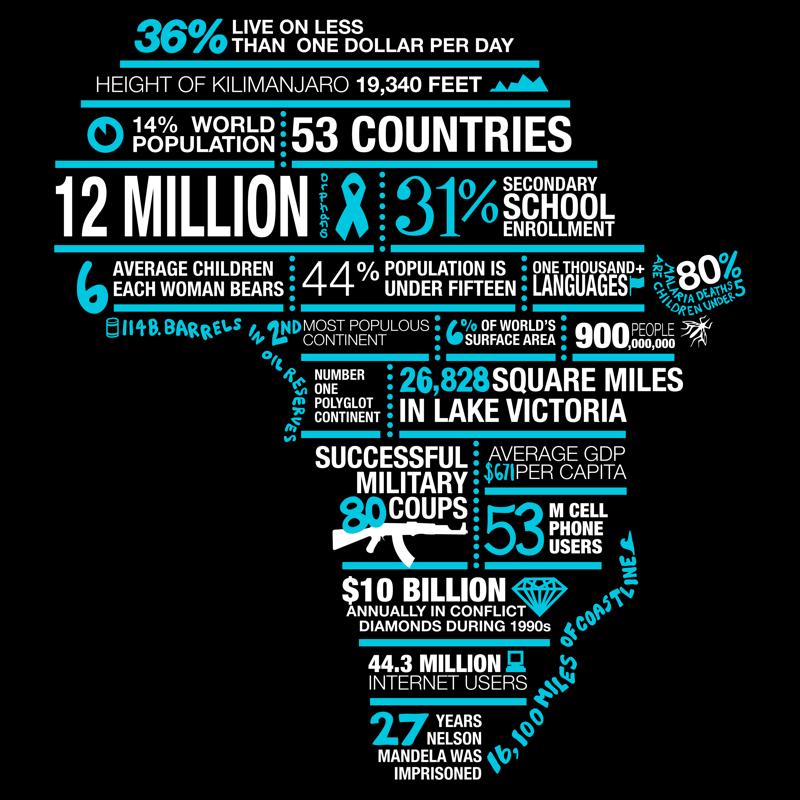 Facts of interest include the 12 million orphans in Africa and 31% secondary school enrollment. There is a lot of good to be done there. If you'd like to help, visit our website to volunteer or donate. Thanks!